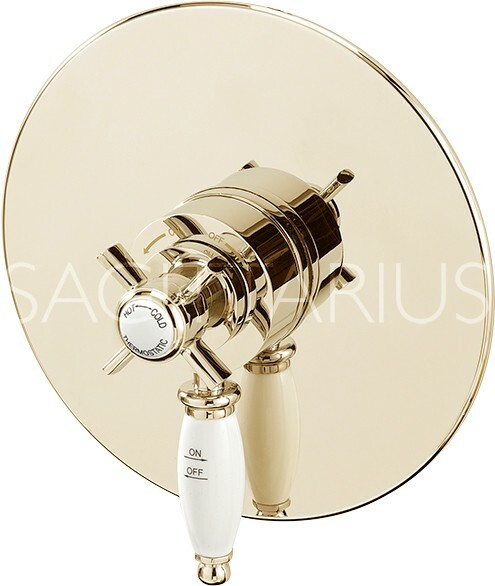 Sagittarius > Churchmans Shower Valve With Arm & 200mm Head (Gold). Churchmans traditional concealed shower valve in gold with arm and 200mm head. 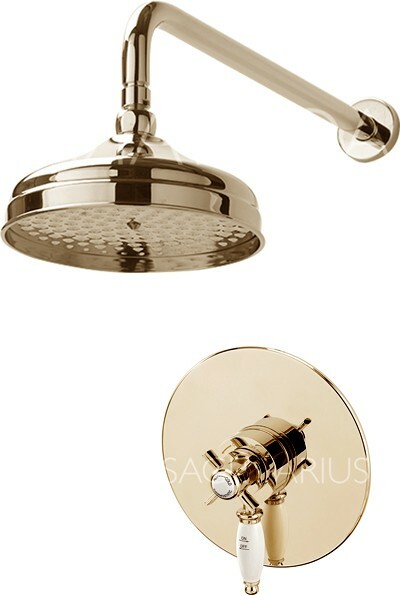 Traditional apron shower head (200mm, gold).